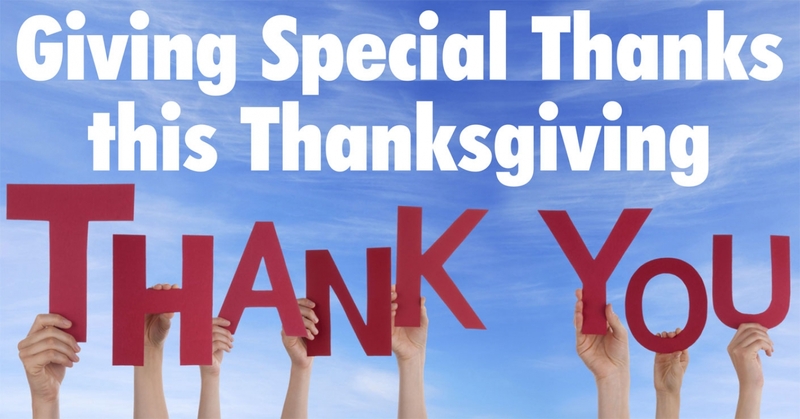 Giving special thanks this Thanksgiving. Millions of parents will pause this Thanksgiving to do what the day was originally created for— to give thanks for the many blessings that exist in their lives. Turkey, pumpkin pie and loved ones will receive their fair share of gratitude during this annual ritual of appreciation. Many parents will also give thanks for the arrival of a newborn, their children’s health or a new career opportunity. Indeed, this traditional day calls for a traditional show of thanks. But what if your appreciation this Thanksgiving assumed a new look? What if the blessings you count this year included situations that aren’t usually regarded as helpful, useful or valuable? Consider the following. Why not be thankful that your child is behind his grade level in his reading ability? This struggling reader is giving you the opportunity to read to him each night with extra care. The evening ritual helps build connectedness between you both while modeling your love for the printed word. Great literature like The Little Engine That Could or a classic novel can be shared as you simultaneously bond with your child. Why not be thankful that your daughter’s soccer team lost the championship game? It is important that your children experience both winning and losing. By losing, children learn to handle defeat and bounce back next time. With your assistance, kids can discover that winning or losing is not the measure of who kids are as human beings. They can learn they are more than the score. They can learn that it’s effort, energy and playing up to potential with good sportsmanship that defines a winner, not the scoreboard. Appreciate the opportunity the loss brings and be grateful for it. Why not be thankful that your teenager received a speeding ticket for going 45 mph in a 25 mph speed zone? Getting a ticket is not a bad thing if your teen learns from it and drives more slowly. If she takes personal responsibility, pays the ticket and is more cautious about her driving, the ticket may well save her life or the life of someone else in the future. Why not be thankful that your 8 year old shoplifted in the grocery store? This is the perfect time to teach your child about shoplifting. Teach him how to make amends. Teach him what to say as he returns the candy bars to the store owner or manager. Help your child articulate what he learned and what he intends to do differently next time. Why not be thankful that your youngsters track mud into the house? This weekend when you furiously sweep away remnants from outside and wish that your kids were better behaved, quietly remind yourself that one day you’ll wish you had more to sweep. Embrace the dirt. Be grateful for the signs of children in your life, and their active lifestyle. Why not be thankful for sibling rivalry? “He got more than I did” and “It isn’t fair” are common childhood refrains. Hitting, poking and teasing a sibling is standard childhood behavior. Use contentious moments to encourage your kids to get along with each other. Use such moments to teach interpersonal skills and the importance of caring signs of affection. Be grateful to nurture working and playing cooperatively. Why not be thankful that you got to stay home with a sick child last week? You got to ensure your child received proper medical attention. You got to show him you care enough to drive all over town to the doctor, the drugstores and back home again. You got to help your child feel better. Why not give thanks that your child is spilling milk, talking with his mouth full, wiping cranberry sauce on his new pants, refusing to eat his vegetables and interrupting his grandmother at the dinner table? It means you have more work to do as a parent. It means your job is not yet done. This is a blessing. You are still needed to teach your child to pour milk more carefully, improve his table manners, eat nutritiously and show respect for elders. Why not be thankful that your 21 year old has moved out of your home? Did you really want to raise a Nintendo player who sits around your house all day sucking up Diet Pepsi and pizza? Your goal was to raise a responsible, caring, confident child who would move away from home when the time was right. You have been successful. Pat yourself on the back. Yes, it would nice if she had chosen to spend this Thanksgiving with you rather than with her boyfriend’s parents. Maybe next year. This year give thanks. Your child has become an adult. Parenting is a sacred role that you are called upon to perform. Give thanks that you have been called. Give thanks that you are willing to step forward and accept that call. Appreciate that you are being shown the way. Celebrate yourself and your contribution to the world by helping your children evolve into the people they were meant to be. Give thanks that you are up to the task. Thomas Haller and Chick Moorman are the authors of The 10 Commitments: Parenting with Purpose (Personal Power Press). They are two of the world’s foremost authorities on raising responsible, caring, confident children. They publish a free parenting blog. To obtain more information about how they can help you or your group meet your parenting needs, visit www.uncommon-parenting.com.